Professor Abramson has been involved in computer architecture and high performance computing research since 1979. He has held appointments at Griffith University, CSIRO, RMIT and Monash University. Prior to joining UQ, he was the Director of the Monash e-Education Centre, Science Director of the Monash e-Research Centre, and a Professor of Computer Science in the Faculty of Information Technology at Monash. From 2007 to 2011 he was an Australian Research Council Professorial Fellow. Abramson has expertise in High Performance Computing, distributed and parallel computing, computer architecture and software engineering. He has produced in excess of 200 research publications, and some of his work has also been integrated in commercial products. One of these, Nimrod, has been used widely in research and academia globally, and is also available as a commercial product, called EnFuzion, from Axceleon. His world-leading work in parallel debugging is sold and marketed by Cray Inc, one of the world's leading supercomputing vendors, as a product called ccdb. 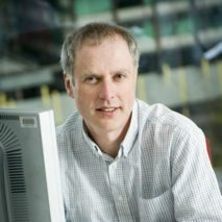 Abramson is a Fellow of the Association for Computing Machinery (ACM), the Institute of Electrical and Electronic Engineers (IEEE), the Australian Academy of Technology and Engineering (ATSE), and the Australian Computer Society (ACS). He is currently a visiting Professor in the Oxford e-Research Centre at the University of Oxford. Abramson has performed seminal research in the design, implementation and application of high performance computer systems and software tools for parallel and distributed systems, publishing over 200 papers in peer reviewed conferences and journals. His research has influenced the state of the art in three ways. First, fundamental contributions to Computer Science have expanded the state of knowledge in Grid computing. Second, his work has impacted researchers in science and engineering, both nationally and internationally, supporting them in achieving excellence in their own disciplines. Third, he has driven innovations into the commercial arena through startup companies and industrial collaborations. Goscinski, Wojtek James and Abramson, David (2008). An infrastructure for the deployment of e-Science applications. In Lucio Grandinetti (Ed. ), High performance computing and grids in action (pp. 131-148) Amsterdam, Netherlands: IOS Press. Arzberger, Peter, Wienhausen, Gabriel, Abramson, David, Galvin, Jim, Date, Susumu, Lin, Fang-Pang, Nan, Kai and Shimojo, Shinji (2010) Prime: An integrated and sustainable undergraduate international research program. Advances in Engineering Education, 2 2: 1-34. Abramson, David, Kommineni, Jagan, McGregor, John L. and Katzfey, Jack (2004) An Atmospheric Sciences Workflow and Its Implementation with Web Services. Lecture Notes in Computer Science (including subseries Lecture Notes in Artificial Intelligence and Lecture Notes in Bioinformatics), 3036 164-173. Lewis, Andrew, Abramson, David and Peachey, Tom (2004) An evolutionary programming algorithm for automatic engineering design. Lecture Notes in Computer Science, 3019 586-594. Sudholt, Wibke, Baldridge, Kim K., Abramson, David, Enticott, Colin and Garic, Slavisa (2004) Applying Grid Computing to the Parameter Sweep of a Group Difference Pseudopotential. Lecture Notes in Computer Science (including subseries Lecture Notes in Artificial Intelligence and Lecture Notes in Bioinformatics), 3036 148-155. Peachey, Tom, Abramson, David, Lewis, Andrew, Kurniawan, Donny and Jones, Rhys (2004) Optimization using Nimrod/O and its application to robust mechanical design. Lecture Notes in Computer Science, 3019 730-737. Sloot, Peter M. A., Abramson, David, Bogdanov, Alexander V., Gorbachev, Yuriy E., Dongarra, Jack J. and Zomaya, Albert Y. (2003) Preface. Lecture Notes in Computer Science (including subseries Lecture Notes in Artificial Intelligence and Lecture Notes in Bioinformatics), 2657 V-VI. Sloot, Peter M. A., Abramson, David, Bogdanov, Alexander V., Dongarra, Jack J., Zomaya, Albert Y. and Gorbachev, Yuriy E. (2003) Preface. Lecture Notes in Computer Science (including subseries Lecture Notes in Artificial Intelligence and Lecture Notes in Bioinformatics), 2659 V-VI. Abramson, David, Giddy, Jon and Kotler, Lew (2000) High performance parametric modeling with Nimrod/G: Killer application for the global grid?. Proceedings of the International Parallel Processing Symposium, IPPS, 520-528. Abramson, David and Randall, Marcus (1999) A simulated annealing code for general integer linear programs. Annals of Operations Research, 86 3-21. Rotstayn, Leon, Francis, Rhys, Abramson, David and Dix, Martin (1993) Suitability of GCM physics for execution on SIMD parallel computers. Journal of the Meteorological Society of Japan, 71 2: 297-303. Abramson, David (2016). Using scientific workflows for science and engineering optimisation. In: WORKS 2016 - Proceedings of the 11th Workshop on Workflows in Support of Large-Scale Science, co-located with The International Conference for High Performance Computing, Networking, Storage and Analysis, SC 2016. 11th Workshop on Workflows in Support of Large-Scale Science, WORKS 2016, Salt Lake City, UT, (1-3). November 14, 2016. Statistical inference of protein "LEGO bricks"
Peachey, T. C., Riley, M. J., Abramson, D. and Stewart, J. (2012). A simplex-like search method for bi-objective optimization. In: EngOpt 2012: 3rd International Conference on Engineering Optimization: Proceedings. EngOpt 2012: 3rd International Conference on Engineering Optimization, Rio de Janeiro, Brazil, (1-10). 1-5 July 2012. Bernabeu, M. O., Corrias, A., Pitt-Francis, J., Rodriguez, B., Bethwaite, B., Enticott, C., Garic, S., Peachey, T., Tan, J., Abramson, D. and Gavaghan, D. (2009). Grid Computing Simulations of Ion Channel Block Effects on the ECG Using 3D Anatomically-Based Models. In: 2009 36th Annual Computers in Cardiology Conference (CinC 2009) Proceedings of a Meeting. 36th Annual Computers in Cardiology Conference (CinC 2009), Park City, Utah, (213-216). 13-16 September 2009. Tan, Jefferson, Abramson, David and Enticott, Colin (2009). Optimizing tunneled grid connectivity across firewalls. In: Paul Roe and Wayne Kelly, , , (21-27). .
Goscinski, Wojtek James and Abramson, David (2008). An infrastructure for the deployment of e-science applications. In: , , (131-148). .
Chan, Philip and Abramson, David (2008). Netfiles: an enhanced stream-based communication mechanism. In: Jesus Labarta, Kazuki Joe and Toshinori Sato, High Performance Computing: 6th International Symposium, ISHPC 2005. High Performance Computing: 6th International Symposium, ISHPC 2005, Nara, Japan, (254-261). 7 - 9 September 2005. Amirriazi, Saleh, Chang, Stephany, Peachey, Tom, Abramson, David and Michailova, Anuska (2008). Optimizing cardiac excitation-metabolic model by using parallel grid computing. In: Biophysical Society 52nd Annual Meeting, Long Beach, United States, (). 2-6 February 2008. Kommineni, Jagan and Abramson, David (2005). GriddLeS enhancements and building virtual applications for the GRID with legacy components. In: Peter M. A. Sloot, Alfons G. Hoekstra, Thierry Priol, Alexander Reinefeld and Marian Bubak, EGC 2005: Advances in Grid Computing - EGC 2005. EGC 2005: Advances in Grid Computing - EGC 2005, Amsterdam, The Netherlands, (961-971). 14 - 16 February 2005. Abramson, David, Greg, Watson and Dung, Le Phu (2002). Guard: A tool for migrating scientific applications to the .NET framework. In: Computational Science, ICCS 2002 - International Conference, Proceedings. International Conference on Computational Science, ICCS 2002, , , (834-843). April 21, 2002-April 24, 2002. Buyya, Rajkumar, Abramson, David and Giddy, Jonathan (2001). Nimrod-G resource broker for service-oriented grid computing. In: , , (). .
Are you interested in computers and electronics? Smith, Kate A., Abramson, David and Duke, David (1999). Efficient timetabling formulations for Hopfield neural networks. In: Proceedings of the 1999 Artificial Neural Networks in Engineering Conference (ANNIE '99), , , (1027-1032). November 7, 1999-November 10, 1999. Postula Adam, Abramson David, Fang Ziping and Logothetis Paul (1998). Comparison of high level synthesis and register transfer level design techniques for custom computing machines. In: Software Technology Track. Proceedings of the 1998 31st Annual Hawaii International Conference on System Sciences. Part 1 (of 7), Big Island, HI, USA, (207-214). January 6, 1998-January 9, 1998. Abramson, David, Logothetis, Paul, Postula, Adam and Randall, Marcus (1998). FPGA based custom computing machines for irregular problems. In: Proceedings of the 1998 4th International Symposium on High-Performance Computer Architecture, HPCA, , , (324-333). January 31, 1998-February 4, 1998. Abramson, D., Sosic, R. and Watson, G. (1996). Implementation techniques for a parallel relative debugger. In: , , (218-226). .
Abramson, D., Sosic, R., Giddy, J. and Hall, B. (1995). Nimrod: a tool for performing parametised simulations using distributed workstations. In: , , (112-121). .
Abramson, David, Foster, Ian, Michalakes, John and Sosic, Rok (1995). Relative debugging and its application to the development of large numerical models. In: , , (1405-1418). .
Abramson, D. and Sosic, R. (1995). Debugging tool for software evolution. In: Proceedings of the 2nd Working Conference on Reverse Engineering, , , (282-290). July 14, 1995-July 16, 1995. Abramson, D. and Sosic, R. (1995). Debugging tool for software evolution. In: , , (206-214). .
Abramson, D. (1994). Predicting the performance of scientific applications on distributed memory multiprocessors. In: Proceedings of the Scalable High-Performance Computing Conference, , , (285-292). May 23, 1994-May 25, 1994. Abramson, D., Cope, M. and McKenzie, R. (1994). Modelling photochemical pollution using parallel and distributed computing platforms. In: PARLE 1994 – Parallel Architectures and Languages Europe - 6th International PARLE Conference, Proceedings. 6th International Conference on Parallel Architectures and Languages Europe, PARLE 1994 , Athens, , (478-489). July 4, 1994-July 8, 1994. Rawling, Mark, Francis, Rhys and Abramson, David (1992). Potential performance of parallel conservative simulation of VLSI circuits and systems. In: Proceedings of the 25th Annual Simulation Symposium, , , (71-81). April 6, 1992-April 9, 1992. Rawling, Mark, Francis, Rhys and Abramson, David (1992). Potential performance of parallel conservative simulation of VLSI circuits and systems. In: Proceedings of the 25th Annual Symposium on Simulation, ANSS 1992. 25th Annual Symposium on Simulation, ANSS 1992, Orlando, FL, (71-81). April 6, 1992-April 9, 1992. Abramson, D. and Egan, G. K. (1988). OVERVIEW OF THE RMIT/CSIRO PARALLEL SYSTEMS ARCHITECTURE PROJECT. In: Proceedings of the Eleventh Australian Computer Science Conference, ACSC-11. Australian Computer Science Communications; v 10, n 1., , , (). .
Abramson, D. A. and Rosenberg, J. (1986). MICRO-ARCHITECTURE OF A CAPABILITY-BASED COMPUTER. In: Proceedings - 19th Annual Workshop on Microprogramming: MICRO 19., , , (138-145). .
Rosenberg, J. and Abramson, D. A. (1986). MICROCODE DEVELOPMENT TOOLS FOR A CAPABILITY-BASED PROCESSOR. In: Proceedings - 19th Annual Workshop on Microprogramming: MICRO 19., , , (8-14). .
Yap, Roland, Rosenberg, John and Abramson, David (1985). A C compilerfor a Capability Based Computer. In: Proceedings of the 9th Australian Computer Sciences Conference. 9th Australian Computer Sciences Conference, Canberra, ACT, Australia, (). January 1985. Abramson, D. A. and Keedy, J. L. (1985). IMPLEMENTING A LARGE VIRTUAL MEMORY IN A DISTRIBUTED COMPUTING SYSTEM. In: Proceedings of the Eighteenth Hawaii International Conference on System Sciences 1985. Volume 3: Medical Information Processing. Proceedings of the Hawaii International Conference on System Science 18th, Distributed by Western Periodicals Co, , , (515-522). .
Rosenberg, John and Abramson, David (1985). MONADS-PC - a capability-based workstation to support software engineering. In: Proceedings of the Eighteenth Hawaii International Conference on System Sciences 1985. Volume 3: Medical Information Processing. Proceedings of the Hawaii International Conference on System Science 18th, Distributed by Western Periodicals Co, Honolulu, HI United States, (222-231). January 1985. Abramson, David (1983). MONADS II COMPUTER SYSTEMS. In: Proceedings of the 6th Australian Computer Science Conference., , , (1-10). .
Keedy, J. Leslie, Abramson, David, Rosenberg, John and Rowe, David M. (1982). COMPARISON OF THE MONADS II AND III COMPUTER SYSTEMS. In: Proceedings - 9th Australian Computer Conference., , , (581-587). .
Abramson, David (1982). Hardware for capability based addressing. In: Proceedings - 9th Australian Computer Conference., Hobart, (101-115). 1982. Keedy, J. Leslie, Abramson, David, Rosenberg, John and Rowe, David M. (1982). MONDAS project stage 2: hardware designed to support software engineering techniques. In: Proceedings - 9th Australian Computer Conference., Hobart, (575-580). 1982. Abramson, David (2011). Applications Development for the Computational Grid Higher Doctorate, InformationTechnology, Monash University. Abramson, David Andrew (1982). Computer hardware to support capability based addressing in a large virtual memory PhD Thesis, Dept. of Computer Science., Monash University.